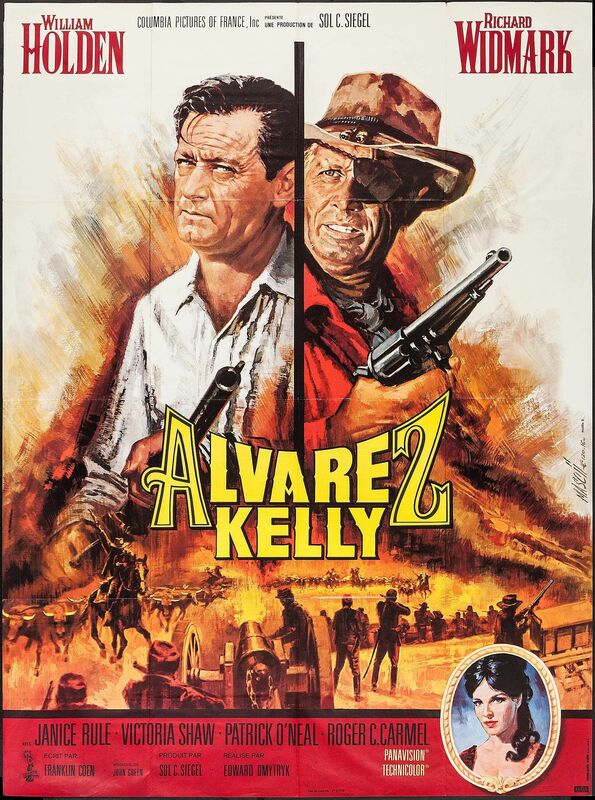 Brief Synopsis – A Mexican cattleman brings livestock to hungry troops during the Civil War and gets between the two sides who both want the meat he provides. My Take on it – I have always been a fan of William Holden films and this is another great example of the kind of roles he excelled at. He loved to play the anti-hero and this film once again gives him that opportunity. His character is in it for himself and for money yet still always manages to find a reason to do what is necessary. The story of this film largely works due to the great chemistry between Holden and his co-star Richard Widmark who both help keep the tension and action high with their portrayals. The story itself is loosely based on a factual event and they manage to show that it doesn’t matter who is fighting who the fact that troops need to eat is something that will always occupy the minds of the soldiers during war time. The film gives us some nice action pieces that work well and at the same time it allows us to get a much better understanding of who these characters are and why they do what they do. Bottom Line – This story works so well largely due to the amazing chemistry between Holden and Widmark who help keep both the tension and action quite high the entire time. The story itself is somewhat based on fact but they do manage to point out how important food (and beef) is during war time. The action works quite well here and we get a clear picture of who these characters are by the way that they act. Really enjoyed Holden as the anti-hero because he is great at portraying men who don’t do things for selfless reasons but still do what is necessary. Recommended!